Brandblack returns for winter with a new take on the weighty sneaker. Sporting a custom Vibram sole, the Kite Racer is the Californian footwear brand’s latest runner-inspired model, offered in a quartet of debut colorways. 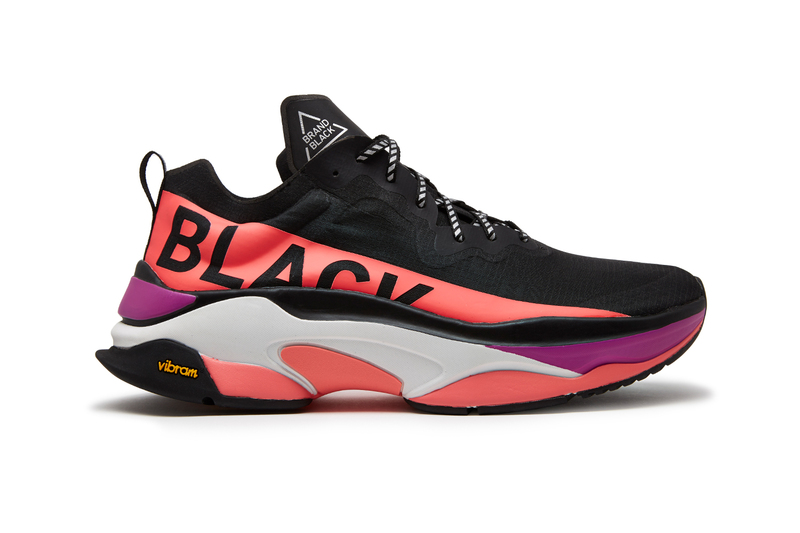 Along with tonal white and black, the shoe will also release in a duo of more colorful iterations, blending black or blue uppers with bold orange panels and contrasting “BLACK” branding. Complementary hits on the midsole are balanced with a neutral black outsole, sockliner, tongue and laces. A lag looped around the laces completes the shoe, adding to the technical motif and revealing the sneaker’s construction. Stay tuned for Brandblack’s soon-to-be revamped website to offer the Kite Racer for $200 USD shortly. For more hefty runners, YEEZY is gearing up to release a “mauve” BOOST 700. Details / That has always separated us from the rest. Kite Racer / alabaster Fashion vs. Function – that question is always asked about our product. In this case it’s very hard to say since our @vibram developed tooling and upper has been created to perform as a 15+ miler and a true maximal running shoe #staytuned we are just getting started ? The upgraded model sold out instantly. Tie-dye, leopard print and baggy cuts. Complete with Medium Grey midsoles. The latest Dissertation is introspective. Following the criticism of Senator Bernie Sanders. A rare opportunity with an exclusive capsule.